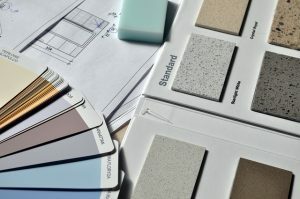 Once all the colors and textures have been selected, then our team will get to work on transforming your space according to the color scheme that was outlined by you. Our experienced painters make sure that there are clean lines between the wall and ceiling and along the trim. We take pride in the work that we do and you can expect it to be of the highest quality. We have more than a decade of painting houses under our belts and we will make sure that even the slightest imperfection will be properly patched before we begin. Patched are cleaned and sanded to ensure there is a smooth surface before we start applying any paint. If you want to have texture on the walls then our team can add decorative or faux finishes using different techniques and colors of paint. These techniques can transform a room into something incredible, but they will take a little extra time and material to make magic happen. We can help you select the finish that you want, we can put together a custom design scheme that gives you the creative look that your home deserves. Throughout the year Premiere Painters have completed hundreds of paint and decorating projects for businesses in our community. Our team has plenty of experience working on large scale projects that need to be done quickly. We know that time is money in business, so we guarantee that your project will be done on time and within your budget. Our team of professional commercial painters will clean, repair, prepare the surface and paint almost any interior surface regardless of the dimensions. We have tackled corporate office spaces, parking garages and various retail businesses. We only use the best quality paints such as Benjamin Moore and Sherwin Williams, we know how many coats it will take to cover the surface and look fabulous. We can give you an accurate timeline as to when you can expect the project completed and we will do our best to minimize disruptions to your business. The elements can certainly wreak havoc on the exterior of your building, no matter how good the original paint job was there will come a time when you have to repaint. 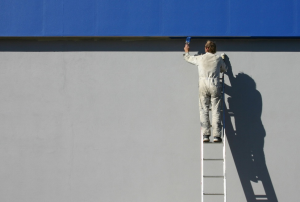 Our commercial painters can get the job done quickly, we will start by stripping the surface and preparing it for the new coat, we use the best quality paints to make sure that the job will last as long as possible. If you would like to discuss how Premiere Painters can help you then please contact us.